Sausage Company Kahului | Meat Products | Uncle Louie Sausage Inc. 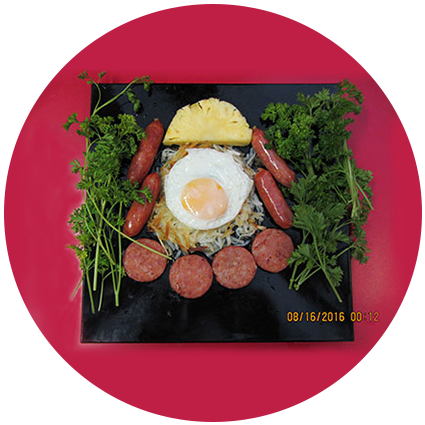 Established in 1986, Uncle Louie Sausage Inc. is a sausage company that produces the finest Portuguese sausages and meat products in Kahului, HI. Led by owner Kenneth Enriques, we always go out of our way to deliver top-quality, delicious sausages to consumers’ plates. Restaurants, hotels, and other businesses in the food service industry have chosen us as their partner sausage company for over 30 years. Although our sausage making process has developed along with the advancement in technology, we make sure to maintain the traditional and authentic flavors in the products we make. Our sausage company uses premium ingredients and casings to ensure the quality of our sausages. Through a meticulous process, our meat products are cured to perfection in order to reach that unique flavor our sausages are known for. Are you looking for a reliable sausage distributor to supply your restaurant’s sausages? Partner with Uncle Louie Sausage Inc. We provide sausage products to wholesalers, retailers, and all types of commercial and residential consumers nationwide. Schedule an appointment and make us your preferred supplier. Call us for more information.